Cables To Go Serial Cable - Serial - 35 ft - 1 x DB-9 Female Se..
Mettler-toledo Serial Data Transfer Cable - Serial For Network D..
Zebra RS-232 Serial Interlocking Cable - RJ-45 Male - DB-9 Male..
Startech Pnl9m16 16 9 Pin Serial Male To 10 Pin Header Panel Mou..
B&B 2 Port DB-9 RS-232 Serial Adapter - 2 x 9-pin DB-9 Male RS-..
Dena DeRose - We Won't Forget You (An Homage To Shirley Horn) (M.. This cable will output NMEA 0183 data to a external device such as a HAM radio. Hardwire your Garmin device to an electronic device to transfer speed and position data . You can also use our serial data/power cable to power your Garmin device. Input voltag.. It also interconnects E85001 SeaTalk/NMEA/Pc interface to Pc's serial port. At one end there is DB-9 female connector and bare wire leads to tie your GPS or other device at other end. 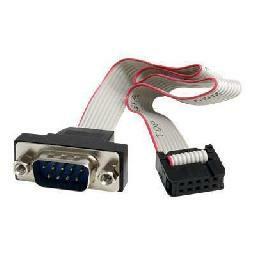 E86001 Features: PC Serial Data Cable, Part Number: E86001, 2m Cable Len.. The PC Connection Kit requires: PC Serial Port, 8-AA Batteries, HumminbirdPC Software. PC Connection Kit, Kit Includes: PC Serial Port Cable with DB9 Connector, 9V Power Cable and detailed instructions. Kit Requires: PC Serial Port, 2-9V Batteries, Humminb.. It provides connection to your uniden location-based scanner or other NMEA-compatible device. 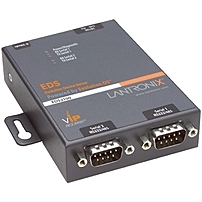 It has a cable that plugs directly into DB-9 RS-232 port, it can easily connects to Uniden hand held scanners and the HomePatrol-1. It is provided with a magnetic.. The information received includes the vessel name and call sign, position, course, speed over ground, and other useful information for situational awareness in congested waterways, limited visibility or heavy sea conditions. The FA30 has an Ethernet and a .. The 7160-0486-00-P makes your work easier and more enjoyable with enhanced connectivity and safety. 7160-0486-00-P Features: Vehicle Docking Station, 2 USB 3.0 Ports, 15 Pin HD D-Sub VGA Output Port, 19 Pin HDMI Type A Output Port, 9 Pin D-Sub Serial Port,..